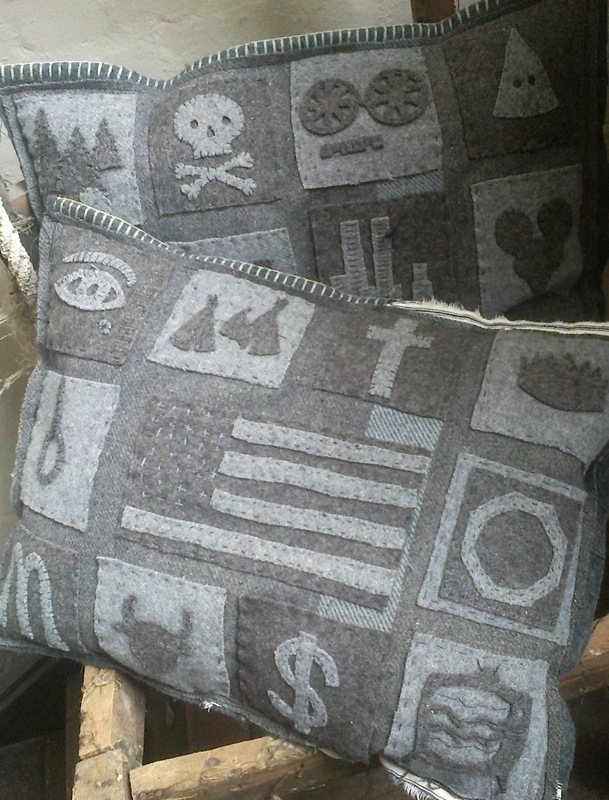 COVERING EVERYTHING FROM WATERGATE,THE KKK,ORGANI$ED RELIGION,911,SLAVERY AND THE TREATMENT OF THE NATIVE AMERICAN INDIANS , THESE CUSHIONS LEAVE VERY LITTLE ROOM FOR COMFORT . 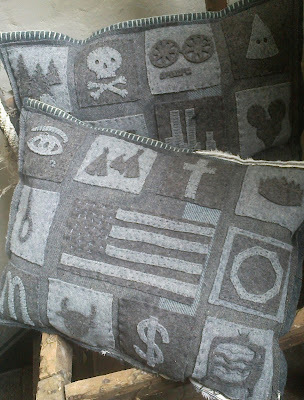 ART applique cushions . cold comfort cushions. American civil war textile . political fabrication. 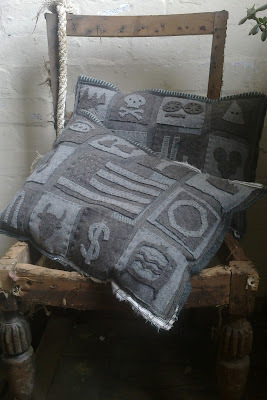 little comfort cushions .